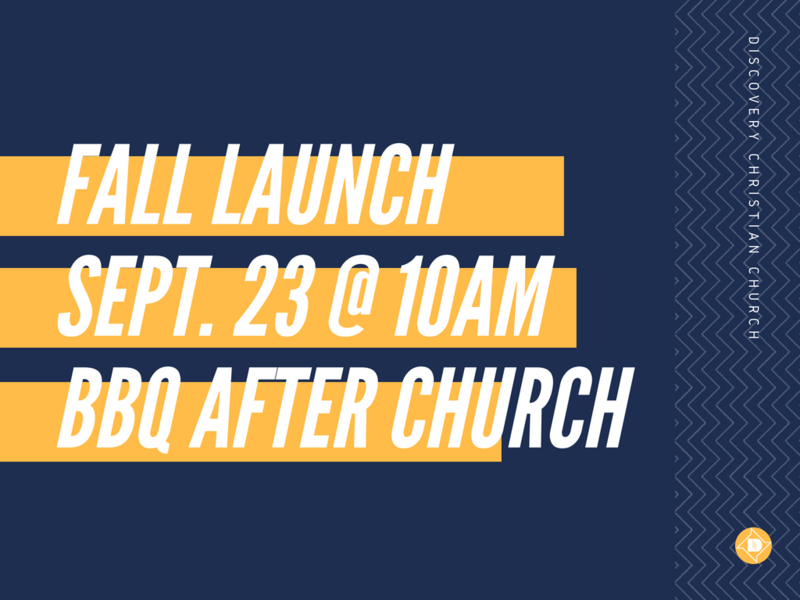 Join us at our Fall Launch BBQ for a fun time of connecting and enjoying a meal together! We'll be celebrating the kick-off of our Discovery Groups and the beginning of the fall season at Discovery. There will be great opportunities to meet Discovery Group leaders and find out how you can get involved at Discovery. Please bring your own drinks! Questions? Want to help? Email INFO@discoverydavis.org.